Joel Carter appeared the picture of health. Last I’d heard he’d been battling lung cancer. We tinked glasses and Carter headed over to the check-in table of our twenty-year class reunion to grab his nametag and head into the hotel’s banquet hall, but I hung back in the bar. I wasn’t quite ready to mingle with the old gang, the horde of classmates with whom I’d grown up, but, after two decades and half a country between us, we would now, for all practical purposes, be strangers. I wasn’t sure how many times tonight I’d have to parrot what I’d just told Joel—that I was an audio engineer in L.A., and then it might prove exhausting having to further explain exactly what in hell an audio engineer does for a living. I’d met Jenny a few years out of college, in the “biz” as they say as Jen repped for some local bands. She had been at the studio with one of her groups—long since disbanded and forgotten—when I brought her a bad cup of vending machine coffee, joked about it, and wound up scoring her phone number as well as the promise of a dinner date. The dinner date ultimately led to a year of courtship followed by nearly a dozen years of marriage. Jen and I weren’t able to have children, both a blessing and a curse. I ordered another Guinness and leaned into a far corner of the bar. I was able to peek through the open entry doors and eye the reunion table across the hallway. I spotted Bobby Fitzwilliams pick up a nametag, clip it to his shirt, and head inside. I’d grown up next door to the Fitzwilliams’ clan. Mike Fitzwilliams had been my age and my best friend in elementary school before we’d drifted apart, you know, different interests and different friends. Brother Bobby was a year younger, although the two Fitzwilliams’ boys took after their mother and looked close enough alike to be identical twins. As kids, the three of us had played endless catch in their backyard. 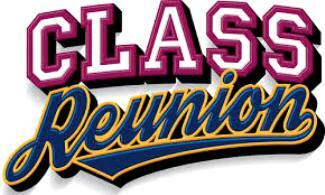 I was delighted the reunion planners—one of those jobs for which I’d never volunteer—didn’t appear overly prickly and were allowing classmates from near-enough grades to attend. It’d be great to catch up with Bobby, to let him know in person how sorry I was to hear about his older brother. Mike Fitzwilliams had joined the Marines after 9/11 and, heartbreakingly, my grade-school chum died in the Iraq War Surge—killed by an IED somewhere in the Anbar Province. I still kick myself for sending a sympathy card and flowers instead of jumping a flight home and attending Mike’s funeral, hero that he was. Jenny rode extremes, living in highs and lows, and was eventually diagnosed as bipolar. She fought bout after bout with depression…the type of depression that found her unable to maintain work, the type of depression that found her sitting alone all day, trapped in dark thoughts, and unable to so much as answer the door for the postman. I would rush home at lunch and then at day’s end to be with Jen, terrified of what I might discover each and every time I pulled into the driveway. Her parents and I worked hand-in-hand to get Jenny the treatment she very much needed in both inpatient and outpatient venues. A psychiatrist finally got Jen on Lexapro, which helped if she took it, but it became a second career making sure she actually took her scheduled dosages. I lost sleep, rarely ate, my work suffered…and whenever I looked in the mirror, a haggard ghost stared back. High school had been shits and grins. Steve Howe and I owned the swim team. He and I went to state our senior year; we even shaved our heads, something Steve now jokes about since his hairline’s been in hasty retreat ever since he turned thirty. I ran around with a couple of girls, had some fun, but barely spoke ten words to the one girl I truly wanted to spend time with. But one night I’d been the luckiest guy on the planet. I’d run my fingertips along the curve of her cheek, I fell deep and deeper into those blue eyes, never wanting to surface…and I’d kissed her lips, slowly—I felt her breath in my mouth. Even now, late at night when I’m not able to find sleep, I think back to her, back to that night, and I kick myself for racing as fast and as far away from those feelings as I possibly could, scampering like a frightened little boy from the neighbor’s dog. I’d just turned seventeen, but I intuited what those feelings meant, what they really meant…and I just couldn’t find it in me to face them. Aside from that singular regret, high school had been a blast and I’d even toyed with flying back from L.A. for the five-year reunion, unfortunately at that point in time I didn’t have two nickels to rub together. I took another long sip of Guinness and wished to God that Steve were joining me for this one, but he was stuck in London at some VoIP symposium—Voice over Internet Protocol. My best friend and the biggest screw-off in our class—whom I only see for a quick beer when he’s in-between flights at LAX—is making a million dollars, if he’s not there already, in communications services. Hard to square that with the guy who once took a leak off the high dive when the coach ran back to the locker room to retrieve his stop watch. Quite frankly, I still found it hard to believe I’d gotten a wild hair at the last possible second and decided to actually attend the twenty-year. Something always draws you home, I guess. It was Jenny’s parents, Bill and Carol, God bless the two of them, that took me aside and told me that Jen was drowning and taking me down with her. They told me that I needed a break—an extended break—before I snapped in two. They explained that Jen could live with them as Carol was home during the day and would be able to keep an eye on her. A month later, when I could breathe again, I decided that—God forgive me—I could no longer go back to the way life had been. Jen’s parents had seen it coming, probably knew it the day they took me aside and expressed their concern, but it knocked Jenny for a loop. A woman in a yellow sundress walked into the bar and my heart stopped. I’d been in love with Michelle Braden since I’d first laid eyes on her strolling down the hallway on her way to our mutual home room—Mrs. Henderson’s English class—in ninth grade. I doubted very much I was alone in that, and imagined every guy at the school had a crush on Michelle. She looked more beautiful now than I remembered, black hair flowing, marble-blue eyes scanning the room, and that same sweeping smile that let you know she was not only in on the joke but had set it in motion. Michelle looked even more breathtaking now than when she’d stood on the auditorium dais, in front of a microphone, and gave the commencement speech to our graduating class all those years ago. I also recalled something Steve Howe had told me he’d heard about Michelle, something that cut me to the quick—a piece of unfounded gossip, a hurtful rumor—when he’d recently blown through L.A., grabbing dinner with me before jetting off to a sales conference in Tokyo. Michelle bellied up to the bar next to me and flagged the tender for a Margarita—no salt and a double splash of Grand Marnier. That done, she turned her attention toward me. The bartender set a margarita in front of Michelle and I tossed a ten dollar bill his way. “I heard the craziest thing—” I started to say, then shut up. “That it does,” I replied. “Your first time at one of these shindigs,” she said, more fact than query. As we exited the bar and approached the reunion table Michelle’s hand turned to ice. I twisted to look, her face now a pasty white. “Your nametag,” Michelle pointed a forefinger at a sticker sitting off to one side of the table, her voice sounding as though she were lost inside a wind tunnel. I read the single word below my name and my blood froze. A kaleidoscope of light blinds me. Suddenly I’m lying in bed—back in my bungalow in Boyle Heights—awaking to some noise in the dark of night, and there’s Jenny, standing beside the bed in a white cotton tunic like you’d wear at a hospital, and there’s something shiny jutting from her right hand. “Jenny?” I mumble her name, attempting to rouse myself to consciousness. And the steak knife plummets towards my throat. Another piercing flash of light and I’m back at what I thought had been my twenty-year class reunion…only now there’s no memory of making travel arrangements, of the flight from LAX, of seeing my parents, of grabbing a cab to the hotel. Michelle had clipped her nametag to her sundress and as I read the single word beneath her name I realized that Steve Howe hadn’t spread a vicious rumor after all. And I come to realize that Steve will not be spreading vicious rumors about me either as he chats with classmates or other old friends as the ensuing years turn into decades. Novels in Jeffrey B. Burton’s Agent Drew Cady mystery series include The Chessman, The Lynchpin, and upcoming in 2017, The Eulogist. Jeff’s short stories have appeared in dozens of genre magazines (mystery, literary, horror, fantasy). Jeff is an active member of Mystery Writers of America (MWA), International Thriller Writers (ITW), the International Association of Crime Writers, the Horror Writers Association (HWA), and MNArtists.org.